I waited to write this review until Becoming had been read and discussed by our book club. It was unanimous, everyone loved it, and I believe that you will, too. Like the image we have all captured through the campaigns and the glimpses into the lives of this unique first family, we were mesmerized by her strength, flexibility and commitment to good values. During a time when these traits seem so distant, reading her memoir reflects a better time, a more honest time. It is a deep reflection and a mesmerizing story. We are invited into her world, public and private. Later in the book, we see how her story comes full circle with her mother, Marian (with much convincing from brother, Craig), moving into the White House to assist their family. In the White House, Michelle has the platform from which to tackle issues of nutritionally improved school lunches and childhood obesity, establishing the White House garden. In Becoming Us, we are introduced to her strong physical feelings. It’s this section where she can be the most bracingly honest, both in relaying the ecstasy of falling in love — “As soon as I allowed myself to feel anything for Barack, the feelings came rushing – a toppling blast of lust, gratitude, fulfillment, wonder, and the rough patches that follow.” Michelle Obama opens the door to let us into the difficulties of their marriage, from dirty socks to infertility, including a miscarriage. Ultimately, she reveals, they conceived both Malia and Sasha via IVF. Michelle grapples, as most couples do, with their differences in temperament and the mutual respect, patience and therapy required to become a team. Michelle never wanted to have her family involved in politics. 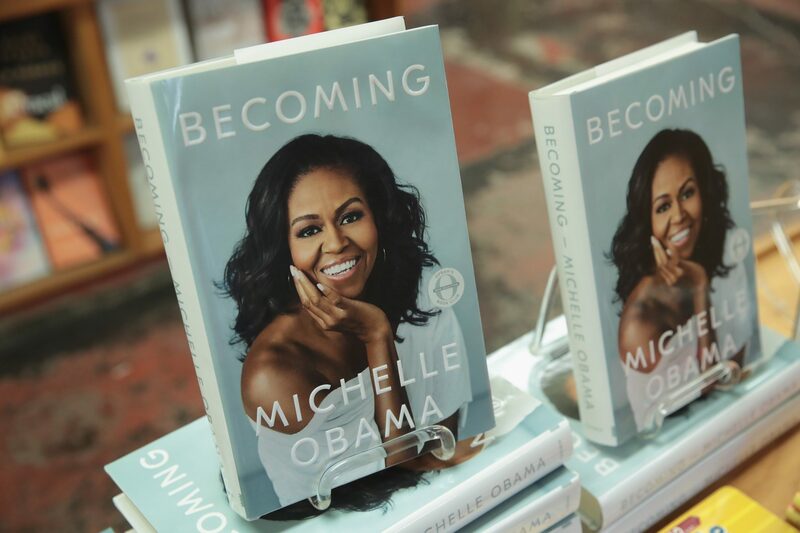 In Becoming Morewe experience the five campaigns in 11 years before the Presidential run, that, per Michelle Obama, “put a little dent in my soul and also in our marriage.” She did not want him to run for President, but agreed because, “I loved him and had faith in what he could do.” She didn’t expect him to win. True to her fears, the bigger the two of them got, the greater the scrutiny and criticism. But on Election Day it is Barack Obama’s face that flashes across television screens around the country as announcers declared him the 44thpresident of the United States. In a very touching account, it is inauguration night and they have presided at 10 balls. She looks in on the final opportunity for ball number 11. It is the personal gathering of friends and family at the White House. It is more than she can manage. She turns around, walks back through the unfamiliar hallways to her first night in their new bedroom and takes off her beautiful gown. It has been exhausting and she has reached her physical and emotional limit.